Fans of the Beatles (and we hear that there are a few) will finally get the chance to hear their heroes in full sonic glory after it was announced that the quartet's albums will be remastered. The audio on the albums released between 1963 and 1987 will be digitally remastered and sold in CD box sets in both mono and audio form. The digitally enhanced CDs will go on sale on 9 September, which is also the date the Beatles version of Rock Band will go on sale, so a lovely little tie in for the Fab Four. Engineers at the Abbey Road Studios have apparently spent four years using top of the range equipment to get tracks such as 'Let It Be' and 'A Hard Day's Night' to the audio levels audiophiles the world over are desperate for. Spokespeople from EMI and Apple Corps said: "The albums have been remastered by a dedicated team of engineers at EMI's Abbey Road Studios over a four year period utilising state-of-the-art recording technology alongside vintage studio equipment, carefully maintaining the authenticity and integrity of the original analog recordings." 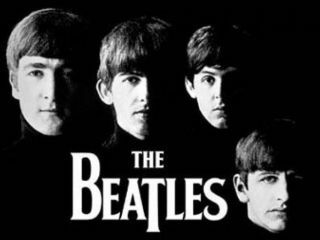 However, there wasn't any word on whether the dispute between Apple Corps and Apple will be solved soon, meaning digital downloads of the Beatles' classics remain off the radar for now.